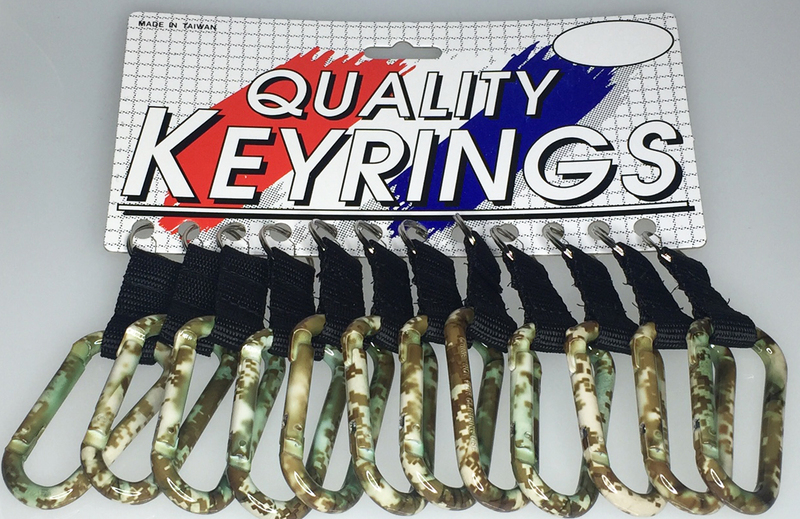 Our 3" carabiner with a DESERT SAND CAMOUFLAGE design with a BLACK Web Strap and a 1" split ring. NOT FOR CLIMBING USE. Packaging is 12 /Card.